San Francisco-based clothing and accessories retailer Gap Inc plans to open 10 new stores in China in the next two months according to Shanghai Daily. After entering the country only in 2010, China has emerged as the most significant growth market for the group. 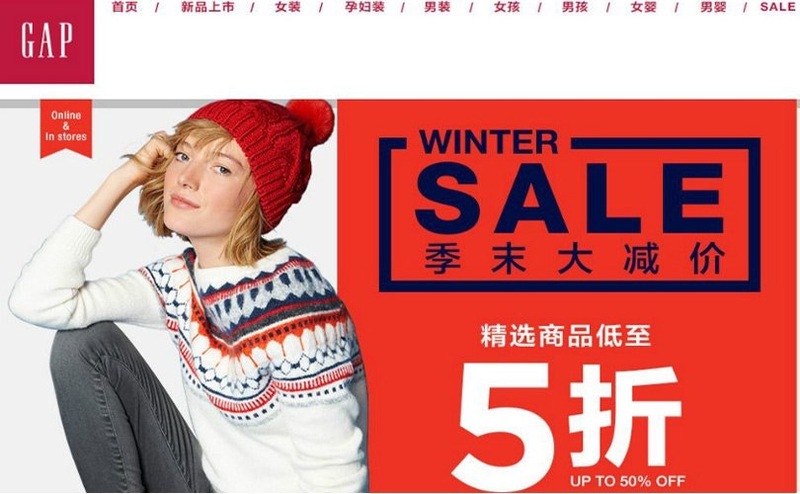 The company will aim for keeping the same pace of growth in the next five years, focusing on an enhanced online-to-offline interaction to meet changing shopping habits of Chinese consumers, explained Abinta Malik, senior vice president and general manager of Gap Inc for China’s mainland, Hong Kong and Taiwan. The US’ largest specialty retailer would also introduce the Banana Republic brand to the Chinese market, added Malik, but did not give a timeline. Gap is currently the third largest global clothing retailer (after Inditex and H&M, respectively) and takes its expansion in Asia seriously. The brand now has more than 140 stores in mainland China, Hong Kong and Taiwan. In May of this year, the company opened its first store in India and plans to set up ten more by March 2016, mainly in metro cities like New Delhi, Mumbai and Bengaluru. Over the next four to five years, Gap is aiming for 40 stores in the ten largest Indian cities. Posted on December 17, 2015, in #international, #retail. Bookmark the permalink. Leave a comment.